Chelsea’s King’s Road and the surrounding areas are filled with homeware stores selling furniture, crockery, fabrics and wallpaper. Here’s our pick of the best home design stores in this fancy bit of West London. William Yeoward founded his luxury interior design company in 1982 and, since then, the brand has been selling furniture, wallpaper and fabric in the heart of Chelsea. Shop here for sofas and chairs, handmade couture cushions and glasses made from hand-cut crystal. 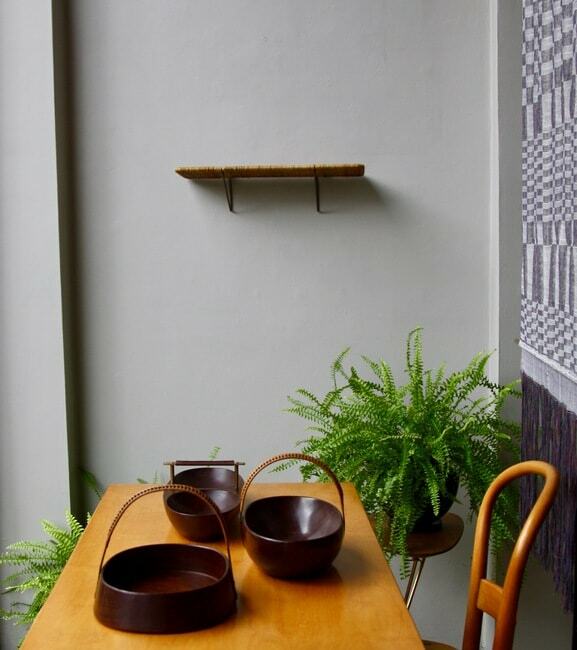 Founded in 2005 by Swedish interior designer Ebba Thott and Danish designer dealer Nina Hertig, this shop specialises in 20th-century design and sourcing from ‘niche’ manufacturers – products include ceramic kitchenware, chairs, lighting, textiles and storage units. The company also offers a full interior design service, where Thott and Hertig will come redesign the interior of your home for you. Designers Guild has been running since 1970 and is now a well-established global interior design company. Operated by Tricia Guild and her brother Simon Jeffreys, the business sells a wide range of goods to give your house an overhaul, such as wallpaper, furniture and paint. In addition to its founding store on King’s Road, Designers Guild has a shop in Marylebone and offices in Munich and New York. Those with a taste for Asia should check out Opium. The vibrant shop sells Indian furniture, mirrors and cushions, as well as Buddha and Ganesha statues. Check out the store’s designer jewellery, too. Lorfords sells both contemporary and antique furniture, so is a good place to shop if you want pieces from different periods. All the modern furniture is made in the Cotswalds, while the older stuff ranges from the 18th to the 20th centuries. According to Lorfords, it offers the ‘largest collection of antique and midcentury furniture in Europe’. Established in 2012, this award-winning furniture shop allows you to create your own furniture. Customers can choose from a range of woods, finishes and fabrics to design their unique product. The shop also offers pieces in Scandivanian and Nordic designs, which can be made to measure. This large department store in Chelsea’s Sloane Square, owned by John Lewis, sells a good range of products for redesigning your home. It’s a reliable place to shop if you are pressed for time and need to buy lots of different furnishings. Founded by renowned Irish fashion designer Orla Kiely, this shop has a great home collection including bed linen, bins, crockery and clocks. The designs are uplifting and cheery, characterised by bright colours and flower or plant motifs. The brand also has a branch in Covent Garden. Have a browse of the clothing and bags selection, too. Set up in 1992 in Pennsylvania, USA, this designer brand has an international reputation for good quality home products. Shop here for beds, sofas, kitchenware, mirrors, lighting and wallpaper. Anthropologie has a number of stores in London and in America, and also sells clothing. This luxury home interiors company sells a range of ‘classic and timeless’ furniture, such as cushions, coffee tables, lamps, mirrors and ceramic crockery. It recently added a V&A line of products too, including bowls, vases and jars, which are all inspired by the West London museum. India Jane has branches in Wembley and Kensington, too. Head to David Mellor for high-quality cutlery and kitchenware, like coloured glass bowls and French procelain butter dishes. The business was founded by designer David Mellor, who passed away in 2009, and is now run by his son Corin Mellor.